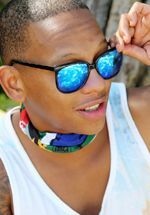 DJ Fresh returns to host the fifth season of Tropika Island of Treasure with a new co-host: Jamaican model and TV presenter Rosina Casserly. Reality show Tropika Island of Treasure returns for Season 5 soon, with a burst of new developments. As reported on TVSA last year, the series moves from e.tv to a new home on SABC1. The new season premieres on Saturday, 16 February at 18h30 and features a line-up of seven celebrities and seven members of the public AKA Average Joe Schmos - all battling to win a million. The format remains the same as Season 4: it's each person for themselves. There are no partnerships or combos. One winner will walk away with the full loot. Other new developments include extended episodes and a new bikini'liscious host. The action takes place in Jamaica this season so the show's signed up former Jamaican beauty queen Rosina Casserly as a co-host. DJ Fresh returns to host and Rosina will be hosting with him to bring a Jamaican perspective. Episodes have been extended from half-an-hour to an hour and they'll feature more coverage of the contestants and their game play. The format also includes extra weekly activities to expose more of Jamaica and the contestants. Also new: the ending each week. Each episode will end with everyone's plea to stay but the loser won't be revealed at the end of each episode. Who stays and who goes will only be revealed at the start of the following episode. Personal claim to fame: 2 x SAMA Winner, 3 x Metro Award Winner, 1 x Channel O Award Winner, 1 x Hype Award Winner. His description of himself in 3 words: Funny, easy'going, competitive. 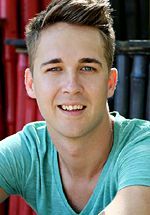 What he's most looking forward to about TIOT5: "I can’t wait to see how the public contestants come into the game and change the dynamics between the celebrities. And I need to feed my jerk chicken addiction!" From: Dallas, Texas USA - he moved to Johannesburg in the late ‘90’s. Personal claim to fame: Founding member of the group Jozi. His description of himself in 3 words: Fresher than fresh. What he's most looking forward to about TIOT5: "Having as much fun as possible." Personal claim to fame: Portraying Charlie on Isidingo. Her description of herself in 3 words: Tree-hugger, chic, HOT! What she's most looking forward to about TIOT5: "Winning and drinking Jamaican rum." Personal claim to fame: Gold-selling and SAMA-nominated debut album titled Can’t Stop Loving You. His description of himself in 3 words: Joker, hot-abs, heartthrob! 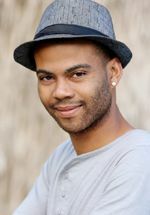 What he's most looking forward to about TIOT5: "I want to explore Jamaica and really get a taste of its food and culture. I want to come back feeling as if I lived like a Jamaican. Winning the R1 million wouldn't be a bad idea either!" Personal claim to fame: Co-host of The Real Goboza on SABC1. Her description of herself in 3 words: Fun, kind, adventurous. 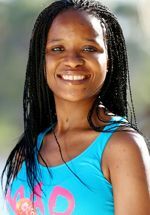 What she's most looking forward to about TIOT5: "Learning about who I really am when R1 million is at stake and how the other players deal with the same 'reality'". Occupation: Actress, model and TV presenter. Personal claim to fame: Former Miss SA Teen. Her description of herself in 3 words: Diva, delectable, dangerous. What she's most looking forward to about TIOT5: "I’m interested to see how it works out interacting with the celebrities and other players on The Island. I think it will give my fans the opportunity to see me in a way they haven’t ever before. It’s going to be the real Phuti interacting with other people, which is very different to the acting, modeling and TV presenting I’ve done so far. " Personal claim to fame: Named in the FHM 100 sexiest women in the world two years running, FHM December 2011 Cover Shoot and a LLB Graduate from NMMU. Her description of herself in 3 words: Brainy, blonde, bombshell. What she's most looking forward to about TIOT5: "The island experience itself - the beaches and warm ocean. I just want to have fun; this is the opportunity of a lifetime!" Personal claim to fame: "I have never been able to refuse a dare." His description of himself in 3 words: Insane, humorous, handsome. 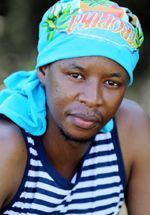 His reason for entering TIOT5: "I wanted the opportunity to travel abroad and the chance to win R1 million so that I could fill the boot of my car with lotto quick pick tickets." Why he thinks he'll win the R1 million: "I am more determined than any of the other players." Personal claim to fame: "I was once dared to strip down to my Blue Bulls underwear in a bar and I did!" His description of himself in 3 words: Cute, nice, positive. His reason for entering TIOT5: "I want to be famous!" Why he thinks he'll win the R1 million: "I am the ultimate people person - people find it easy to get along with me and are always on my side." Occupation: Client Relationship Manager for a medical insurance company. Personal claim to fame: "I can do a killer Brenda Fassie impersonation!" Her description of herself in 3 words: Funny, energetic, entertaining. Her reason for entering TIOT5: "I have a million reasons and they all end in “Rand”!" Why she thinks she'll win the R1 million: "I'm determined and I can be fairly sneaky when the situation requires it." Occupation: Retail sales consultant and radio broadcasting student. Personal claim to fame: "I have been loyally entering TIOT since the first season and I even made it to the shortlist for Season 4. I entered Season 5 a total of 2000 times and I got 150 different people to Tweet TIOT on my behalf to ask that I be entered to the show!" Her description of herself in 3 words: Crazy, fun, friendly. Her reason for entering TIOT5: "Well I think that’s pretty obvious! " Why she thinks she'll win the R1 million: "I’m very likeable and I believe my strategy will determine my win." Personal claim to fame: "I convinced Khuli Chana that I should be his merchandise manager." His description of himself in 3 words: Versatile, honest, fun. His reason for entering TIOT5: I've wanted to be on the show from its first season, but I didn’t have a driver’s license or passport. So I changed my negative to a positive and once I got my documents in order I tried my luck and finally entered Season 5. 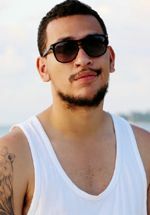 Plus I really wanted to kick it with one of my favourite South African artists, AKA." Why he thinks he'll win the R1 million: "I have tenacity and I’m focused." Personal claim to fame: "I have a strong resemblance to Janet Jackson." Her description of herself in 3 words: "Lively, fun, cray-cray, I’m a Majaivana!" 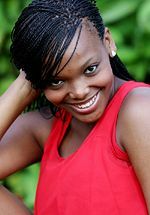 Her reason for entering TIOT5: "I love a challenge and I believe that by the end of the show I’ll be singing “Bosso Ke mang” and waving the R 1 million cheque. Plus I have never travelled outside of SA and what better destination to travel to than Jamaica!" Why she thinks she'll win the R1 million: "I'm good at manipulating the situation to my favour." Occupation: Real Estate and Media Studies Graduate, Property Administrator. Personal claim to fame: "I have the powers of persuasion." His description of himself in 3 words: Hot, intelligent, fun. 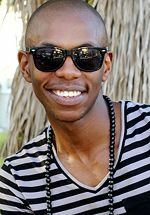 His reason for entering TIOT5: "I wanted to hang out with AKA and Da L.E.S and it was time to get my passport stamped!" Why he thinks he'll win the R1 million: "I'm confident and strategic." Photos by © Stimulii / Rikki Hibbert Photography. ohhkay Mbali -->Janet Jackson?? i dont see any resemblance there. @cleve maybe her Twadio show tweeps are her fans. Is it me or Phuthi o tswana le Jennifer Hudson?